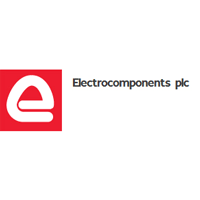 Electrocomponents plc (LON:ECM) today issued a trading update for the four-month period to 31 January 2019. We have continued to make good progress in the first four months of the second half, as our teams remain focused on driving market share gains through strong execution, digital leadership and a consistent focus on the customer. · We have continued to outperform the market delivering 6% like-for-like revenue growth(1) over the period. o We have started 2019 well with January like-for-like revenue growth above the average for the four-month period, after December was impacted by the timing of holidays. o All three regions – EMEA, the Americas and Asia Pacific – saw positive revenue trends. Within EMEA, our emerging markets operations (4% of EMEA revenue) was impacted by lower Raspberry Pi sales. o Digital revenue saw 8% like-for-like revenue growth. · We continue to expect stable gross margin in our base business(2) for the full year to 31 March 2019. · We remain focused on initiatives to simplify and scale our business and to generate further efficiency. We are on track to deliver £4 million of savings this financial year from the second phase of the Performance Improvement Plan, with cumulative annualised savings of £12 million by March 2021. Click ECM for the full archive.